THanks so much t all of yu that spend so much time answering all these posts - I appreciate your efforts. I just purchased an LG BD570 Blu-ray player. I have it set up through my Comcast-supplied Netgear N-150 router. It works, however streaming movies take several minutes to buffer and once the movie starts the picture quality is below average. 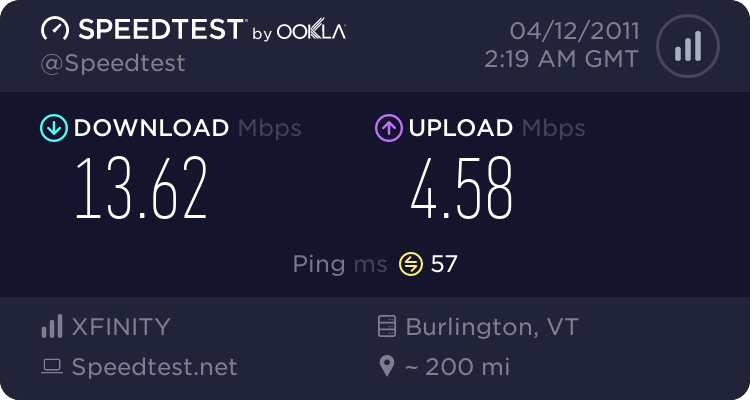 Is there anything (other than having Comcast come out and move my router from the basement to the first floor where my Blu-ray player is and/or use a wired connection) I can do to improve streaming speed and quality? Welcome to the Forum. Sorry you are having difficulty. If you would, Please CLICK HERE which will browse into your modem. From there you can navigare to the page that shows your Signal levels. If you would copy that information and paste it back here in your thread we will try to help you. Note: We are interested in your downstream Power level and SNR as well as your upstream power. please let me know your thoughts when you have a chance. i am considering having comcast stop by this weekend to move my router from the basement and have it hard-wired into my blu-ray player (if that is even possible) or at least moved to the same floor as my laptop and blu-ray. what make and model is your curent Router? Is your BluRay set up with a Wireless adapter? If so then does the BluRay have N band capability? 1. Two AC Powerline adapters to get the signal from the basement to the BluRay using your homes AC Power wiring. I have the freebie from Comcast: Netgear wireless-N 150. I don't know if my Blu-ray is set up with a wireless adapter - how would i find that out? It was WI-FI built in, if that helps. Also not sure if the Blu-ray has N band capability. I'm reading the Blu-ray manual now and I cannot find a reference to N-band. I have the LG BD570 Blu-Ray. Out of your suggestions below, #4 seems to be most logical. Number four is a good starting oint. Make the connection to BluRay and a PC. Power everything up. Browse to Attached Devices and you should see your BluRAy. If so then move the Router back to whatever location works for you. Edit to fix a typo on the Router Access IP address. I would recommend connecting using network cable. My Vizio had problems with wireless, but wired works fine. That is valid. Of course it depends on the physical location of the various components and the viability of the wireless router and wireless adapters.